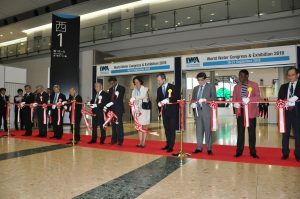 From 16 to 21 September, the IWA World Water Congress & Exhibition was held at Tokyo Big Site. 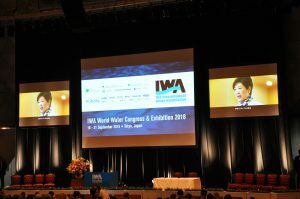 The IWA World Water Congress & Exhibition is one of the most influential events in the water sector. It was attended by nearly 10,000 leaders in water-related fields from 98 countries. The Congress brought together professionals involved in water, sewerage, and the water environment, to discuss pressing water problems the world is facing and to share information about state-of-the art knowledge, technology, and know-how. It proved to be a unique opportunity to shape the future of water issues. The next Congress is to be held in Copenhagen, Denmark, 2020. The IWA was established in 1999 with the aim of providing water to meet the needs of human activities and ecosystems in a safe and sustainable way through wise management of water and innovative water treatment technology, thus contributing to public health.